The second article identifies the mechanisms for lyssavirus persistence in European bats. Based on population and migratory data of bats in colonies in the East of Spain, and on serological samples, we find that migration and cross-species mixing are fundamental to allow the virus to circulate and persist in the two bat species under study. In addition, our model predicts that bats survive the infection and gain temporary immunity against the virus. ​Our approach have important implications for other zoonoses of public health concern where long-range migration and habitat sharing may play an important role. ​And before January reaches its end, we have an important and fundamentally new event! It is the Scientific Evolutionary Writing Workshop, organized together with Sony Lab in Paris. Looking forward to learning on improving our writing till they can only get worse! 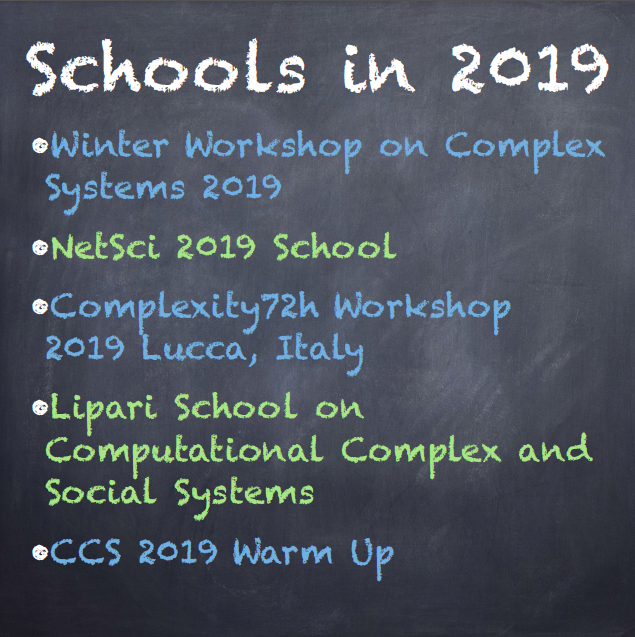 EPIcx-lab members Chiara Poletto and Vittoria Colizza, and visiting researcher Eugenio Valdano will give lectures at the following venues. Learn about epidemics on networks, metapopulation models, epidemic thresholds, multistrain circulation, control strategies and more! We published 3 papers this summer, approaching very different epidemic contexts (bovine brucellosis, varicella, influenza) with different methods. With the first paper we were able to explain the persistence of bovine brucellosis in southern Italy, that is a matter of great concern for animal health and welfare, trade and commerce and economic reasons. Based on a network approach coupled with detailed cattle trade movements and outbreak data, we found that more efficient biosecurity measures in the north and limited compliance to trade regulations for epidemic control in the south are key factors explaining the diverse success of Italian regions in eradicating brucellosis. We were also able to identify for the first time illegal trade behavior from data! The study was a collaboration with the IZS - Italian Agency for Animal Health (Teramo, Italy). The second paper highlighted the role of changes in children contacts in daycare over time, also due to higher attendance, in the dynamics of varicella transmission in France. We used an agent-based model with data-driven contacts obtained from a large scale survey conducted in France. This study was a collaboration with the lab of Stefano Merler at Fondazione Bruno Kessler (Trento, Italy). 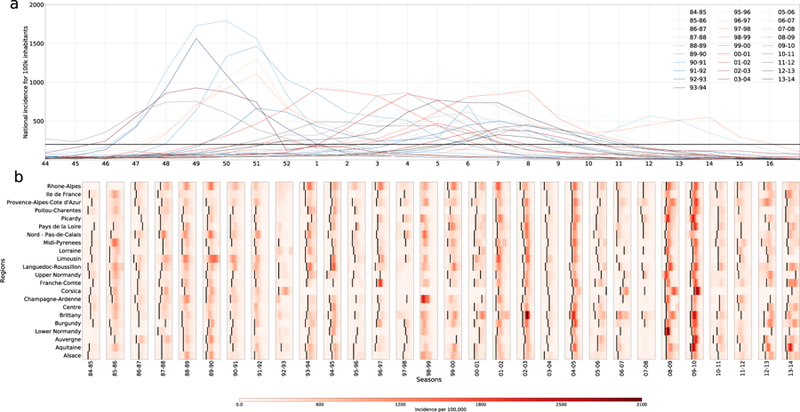 In the third paper we analyzed 30 influenza seasons in France to characterize their season-by-season variability both in the start of the epidemic and in the time of the epidemic peak. We introduced a clustering approach to assess the deviations from typical spreading patterns and identified groups of seasons whose behavior largely deviates from the features of a typical season well-known in the literature. This study was a collaboration with Reseau Sentinelles, the disease surveillance team in France. 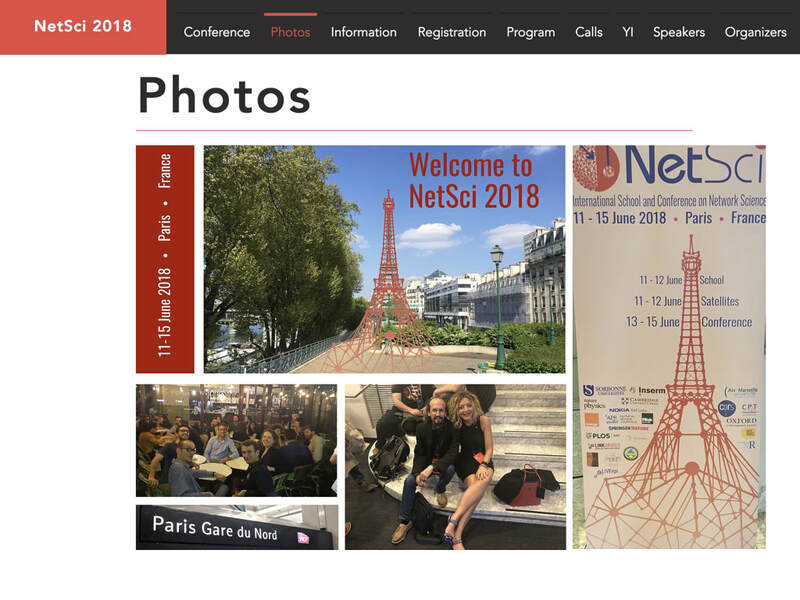 A couple of months have passed since NetSci 2018... and much more time since our last post - the organization of NetSci strongly impacted the lab's agenda! NetSci has been an amazing experience and a terrific event! ​791 participants... new record - very proud. ​Influenzanet was cited in a recent Nature Outlook issue on the future of medicine, addressing specifically "Infection forecasts powered by big data". Have a look!